I had a scare a while back. My website disappeared, or so I thought. I could not see it on the web. I could not login to the admin area. I could not login to cPanel. This brought back unpleasant memories of six years ago when a site I had built from scratch disappeared overnight. Back then I was using a small independent hosting service. We later learned that the owner died unexpectedly and the service was left to run on autopilot with no human intervention. Those days I had no website backup plan. I saved a few files here and there, but that was not good enough. I was able to recover parts of the content from the Wayback Machine. But it still meant rebuilding the site, which was a daunting task. That experience taught me the importance of having a good backup strategy. I checked to see if my hosting service was online and was relieved to see they were conducting business as usual. My computer was working fine and so was the rest of the web. I could do everything on the internet except access or see my site online. I was getting this message: No site configured at this address. Thanks for that timely reminder. 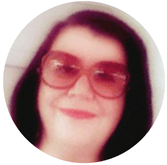 I recall John did mention the importance of backing up your wordpress site and that is exactly what I am going to do now. I look forward to blog post to see how you get on. Thanks for stopping by. 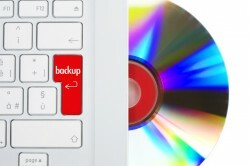 I will be following up soon with another post that provides more detail about my backup method and other backup tips. Yes, it’s so important to back up your site as there’s so much malware around which can cause serious issues, not only with your site, but also with your hosting provider, especially if you get hackers attempting to break into your site. Not all back up services are equal and I’ve found the best solution is to clone your site. I’ll be interested to see what solution you have.Great site by the way.